In this edition today I am keeping things simple; there are only 2 things to discuss! Firstly, I urge you to read the article listed below regarding a free online seminar called “Lead Generation 2.0”. I will be one of 2 speakers at this event and will be speaking about both search marketing and social media and how it can generate both online traffic and leads for your business. 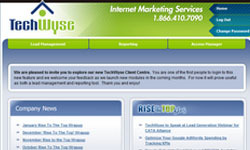 The new ‘Client Centre’ is the beginning of many great things for TechWyse clients. To start with, you will be able to monitor, review, follow up and see all of your leads that come in from your website. How important is reviewing the sales process of your leads? Just as important as getting them! In our experience this area is one of the most neglected part of the business. 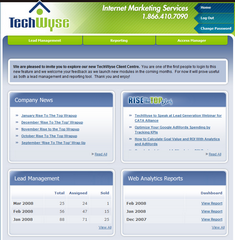 As a client of TechWyse this will be offered with no additional fees as we launch the product! 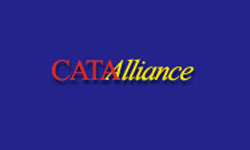 Client Centre is the result of more than 18 months of development. We thank all of our team who have been working on it up to this point. 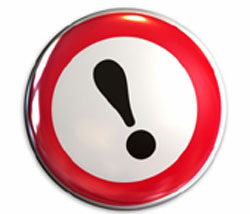 Please note that it will still be in BETA mode and we are adding many of the features week to week. We will also begin development of Phase 2 in May which will see a complete range of full services added, which include greater lead management control, project status updates, enewsletter abilities and MUCH more! Again don’t forget to register for the webinar below if you are interested in learning more about Lead Generation for your website!